Hello! 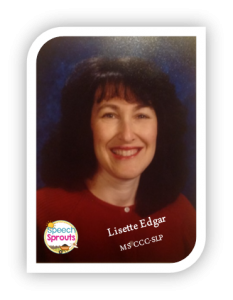 My name is Lisette, from Speech Sprouts. I live in Texas (by way of the beautiful Catskill Mountains in New York, where I grew up). The three wonderful men in my family are my husband and two sons. I have been a school-based SLP for 16 years. I serve an elementary school, and serve children from Pre-K to 4th grade. I am pretty lucky, my school is only 1/4 mile from my house- love that commute. After school, I do PRN/part-time therapy with adults, so I get to see everyone in the lifespan! I became interested in speech language pathology when my son’s school couldn’t provide him articulation therapy because of an SLP shortage. So I headed to grad school, and found my calling! I love what I do. This profession is an adventure. My caseload keeps me busy with plenty of preschoolers, and two days a week are devoted to my preschool therapy groups. I see up to 10 preschoolers in a session, and we have a ball learning language and practicing articulation for two hours each session. (Don’t worry, I have a fabulous para to help). We have circle time, songs, stories and hands-on activities, and I get to work with each child individually for 5-10 minutes each during centers. I love my littles, and I will be telling you more about that soon! 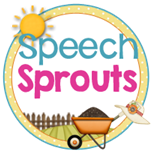 I am so excited to be partnering with this amazingly talented group of SLPs here at Speech Spotlight. So let’s share a little and learn from each other. I am so glad you are here!